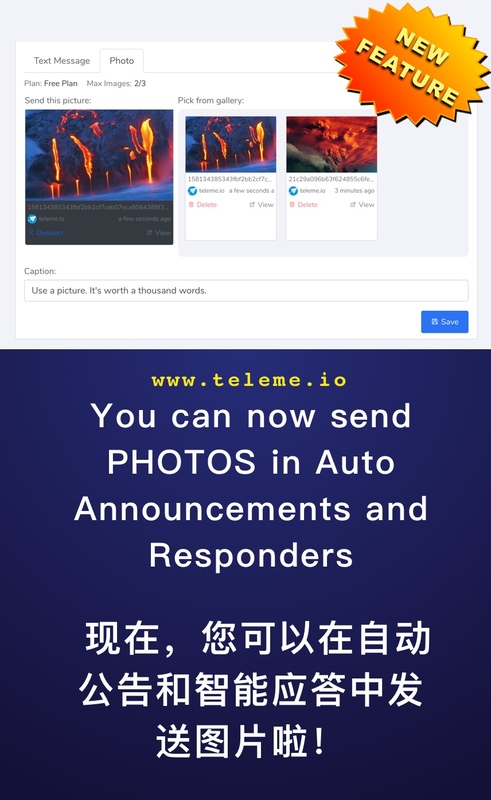 Today, this feature is available for every user on TeleMe, for FREE. When composing a message, switching its content from text to photo, and then you will see the photo library for your group. The photo library is collaborative, every administrator of your group can upload photo to this library. Photos in this library can be used in auto announcements and responders rules.